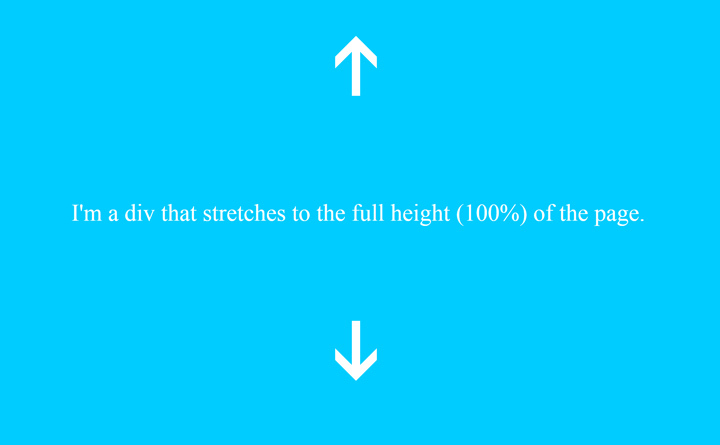 This is a fairly simple trick, yet many designers are unaware of why when you set an element’s height to 100% it just doesn’t work, or how to fix that. 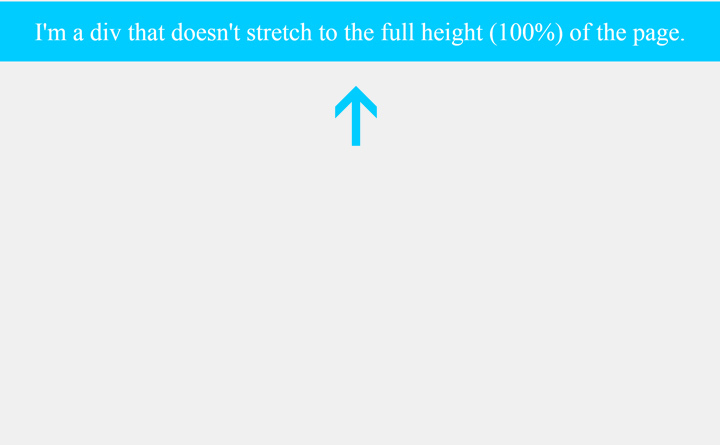 The thing is, your element is just as tall as it’s parent is, so if it’s parent’s height is not set, or set to auto, both elements will have the height of the content of the child element. the container div will be as tall as the text inside it, the body and html elements will remain the same height of the container element, since their height attribute is not defined. What you need to do in order to get the element to the full height of the window is set a height to the HTML and BODY elements. Once they have their height set to 100%, their child elements will be able to adjust to them.